This week's Fierce Female Friday is a local teen helping kids in need for the holidays. NBC6's Arlene Borenstein reports. She may be young, but her heart goes beyond her years. 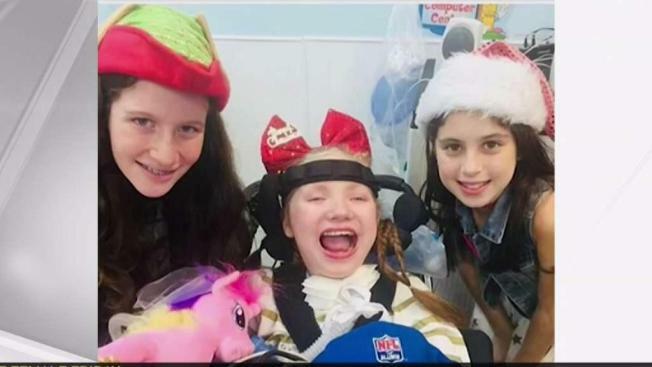 While most kids are writing out their Christmas wish list, 13-year-old Ava Sklar is dedicating her holiday time collecting toys and money for children who need it the most. “I’ve always loved the idea of just seeing people that really need it and give it to them. Even though I don’t need it … not everybody needs it … some people really need toys and money to help them," Ava said. Every year since she was 6 years old, Ava has partnered up with other kids and started her own organization "Ava Claus and Friends." Her organization now partners with the Broward Children's Center where kids as young as infants facing the toughest challenges live and thrive. During the holiday season, Ava and her young elves have made the difference over the year, not just with toys, but the money they raise as well. “They have a special playground so maybe we can get them a swing, get medical supplies," Ava said. A special delivery of kindness Ava says she and her kid committee will continue to gift. “I really want to inspire others, especially schools and kids," she said. "It doesn’t have to be a charity – volunteering your time, that’s what they love the most – the kids at the center just want to be with friends."